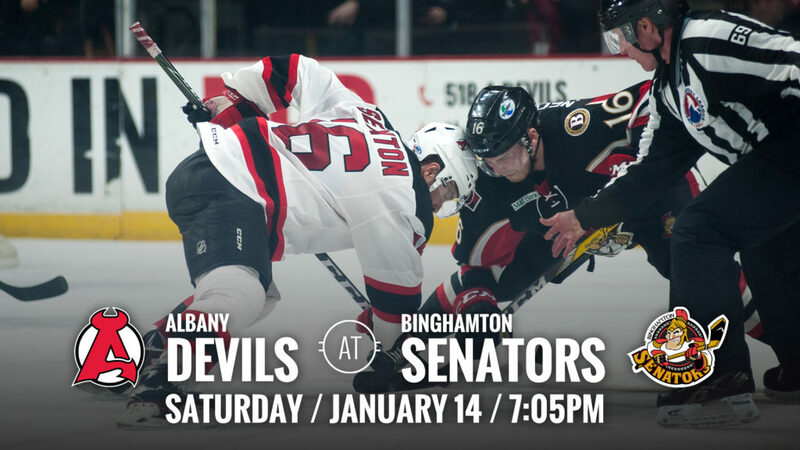 BINGHAMTON, NY – The Albany Devils travel to Binghamton to take on the Senators for a 7:05 pm puck drop Saturday. 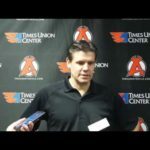 The Senators are coming off a 3-2 overtime win Friday against the Bridgeport Sound Tigers. 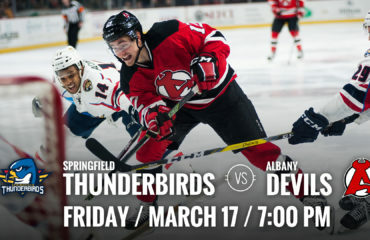 The Devils are coming off a 3-2 overtime loss Friday against the Springfield Thunderbirds. Division Matchup: Saturday will mark the sixth meeting between the division rivals for the 2016-17 season. 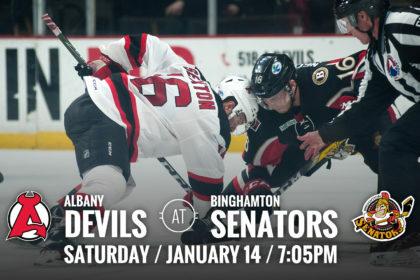 So far this year, Albany holds a 3-2-0-0 record while Binghamton holds a 2-2-0-1 record. 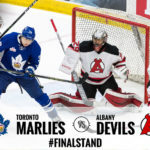 The Devils currently stand at 21-15-1-1 with 44 points in second place. The Senators stand at 15-18-2-1 with 33 points in sixth in the North. 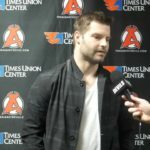 First AHL Goal: Jacob MacDonald scored in Friday’s game against the Thunderbirds at Times Union Center to earn his first ever AHL goal. 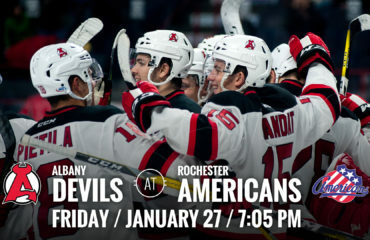 He earned his first ever AHL point on Friday, Jan. 6 when he got the second assist on a Blake Coleman goal. 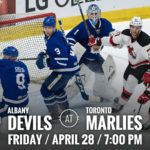 In the four games he’s played with the Devils, he has two points. Bolstering the Blueline: The Albany Devils signed D-Justin Agosta to a PTO from the Manchester Monarchs (ECHL). 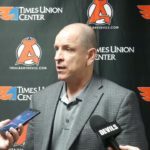 Agosta has played one game with San Antonio this year and 30 games with Manchester registering 21 points on six goals and 15 assists.